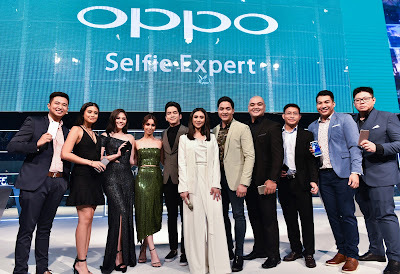 Last Thursday October 26, 2017, OPPO Philippines unveiled the newest smartphone with of course perfect selfie capacity and latest technology, the OPPO F5 with A.I. Beauty recognition. 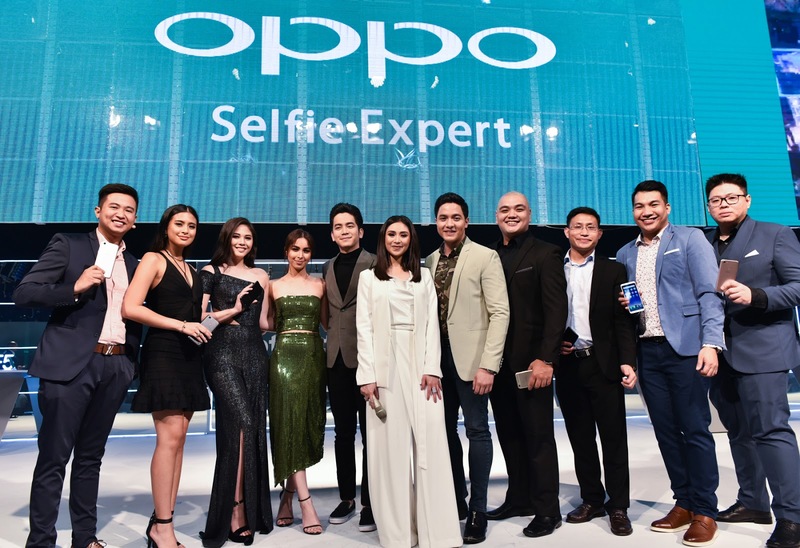 The launched was graced by OPPO's roster of brand ambassadors like Sarah Geronimo and Alden Richards with OPPO influencers Julia Barretto, Toni Gonzaga, Janella Salvador, Joshua Garcia and Gabbi Garcia. OPPO just set another groundbreaking technology of the newest OPPO F5 with the A.I. Beauty Recognition, a technology designed to personalize beautification based on personal facial traits of a subject, giving a customized selfie that is unique to every person. OPPO’s A.I. Beauty Recognition technology learns the specific facial features of different people from its millions of global image database of human faces. Professional photographers and make-up artists were consulted during the R&D process, resulting in the A.I. technology having the ability to capture the real you that can help selfies look more attractive and natural. In addition, the A.I. would recognize the subjects’ skin tone and type, gender and age, match them against its database and subsequently make beautification enhancements that are personalized for each individual in the selfie. The A.I. can analyze up to a million faces and with more than 200 facial feature spots scanned, it is able to detect your face in detail and refine your selfie more than just any other phones. The F5 features a 20MP front camera with an F2.0 aperture and a 16MB rear camera with F1.8 aperture. Compared with other competitors' 13MP or 16MP camera in the same price range, the F5 has a higher resolution (2160x1080) and better photo quality. The cameras can deliver Bokeh effects and the front HDR solves any over-exposure issues. The F5 will be OPPO’s first 6.0-inch full-screen FHD+ display device, giving the user a vivid visual enjoyment without the need to increase the size of the phone. It features a high-resolution 2160 x 1080 dpi screen with 18:9 aspect ratio. The F5 comes with another technology that perfectly suits everyone’s convenience needs. The Facial Unlock is the new face recognition technology that recognizes its user and unlocks the phone. 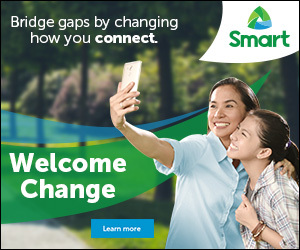 This feature is perfect for people who are constantly on the go, a quick and much easier way to accessing your phone. OPPO’s very first full-screen display is priced at PhP 15,990. The F5 will be available for pre-order from October 27 until November 3, 2017 and will go on sale starting on November 4, 2017. 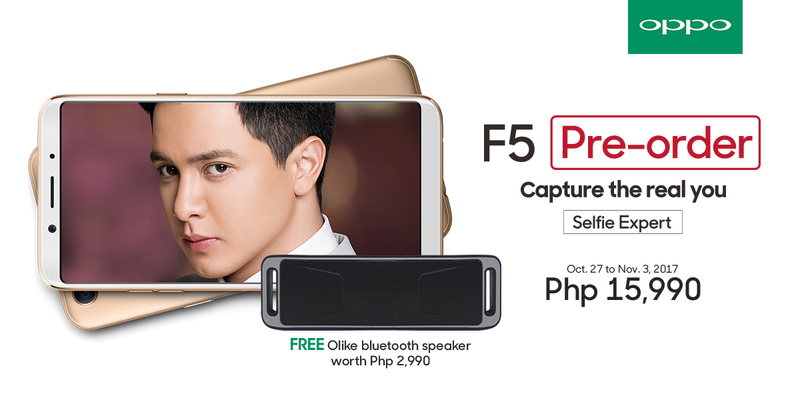 All pre-ordered F5 units will come with an Olike Bluetooth Speaker priced at PhP 2,990.